You must have seen your pets suffering from the menace of ticks and fleas. If you see them scratching vigorously then it’s evident that fleas and ticks are troubling them and this initial scratching might lead to skin infection and bleeding. As the cosmetic treatment might prove to be dangerous for the pet, it is advised that you make use of natural oils to get rid of this problem. The oil substance which is basically used to get rid of this problem consist of thyme, cinnamon and lemon grass. The application of natural oils is not only safe but also effective for both pets as well as the owners. Even though natural oil doesn’t possess any threat to the user, it is recommended that you don’t apply it on sensitive area of human body including nose, eyes and ears. In case of pets, you can spray the oil gently starting from the tail, legs or underbelly. After you have sprayed oil on them, you can gently run the coat in the opposite direction so that the oil is able to penetrate the skin of your pet. The application of the oil substance will not harm the pet or the owner, but is very effective in killing ticks and fleas. Also, the natural oils do not interfere with the bloodstream of the pet, but will reach to the hair follicles and provide the coat a nice protection. Thus, it is very safe for the pets to use. Besides applying them on your pet’s skin, you can effectively use this oil for spraying them in your house, especially in the areas where the fleas infest like room corners, crevices, window sills, bedding etc. Tea tree oil is also an effective flea and pest repellant as fleas do not like odor of this oil. You can prepare it very easily at home. All you need to do is to pour a teaspoonful of the tea tree oil in cup of warm oil. 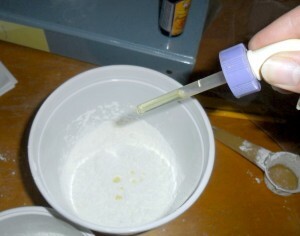 Once it’s ready, then you can use a spray bottle and fill this liquid. Shake the bottle so that the liquid is mixed thoroughly and then you can apply it in your house. You can use this mixture once or twice a day depending upon the fleas and ticks present in your house. You can also use it for getting rid of the skin irritation. Furthermore, eucalyptus essential oil is also very helpful in treating ticks and fleas and can be used as a natural repellant. Thus, as natural oils do not contain any hazardous chemical substance, it can be used to treat pets. All these products are environment friendly and have got almost no or mild side effects. In case any symptom of irritation appears on application of this oil, you should consult a physician. Between the chemical treatments, hair conditioners, shampoos, styling tools and styling gels, it is our hair that takes a lot of abuse. We adopt various ways to make our hair look good, but some of the techniques might prove to be damaging for hairs. The following are the three natural oils that will provide you with smooth and health hair and will help in restoring the shine and bounce of the hair. Not only this, these natural oils will help to promote healthy hair growth. If you don’t like putting salad dressing or eggs on your hair then you can consider the option of applying olive oil on your hair. Since this oil is a natural moisturizer and conditioner, it helps to strengthen your hair and reduced the hair loss as well as dandruff. Follow the steps given below to promote healthy hair growth using olive oil. - You should combine half cup virgin oil with other oils like lavender or rosemary and store it for 24 hours in a cool, dry place. - Pour one tablespoon of the mix in your palm and rub your hands to warm the mixture. - Using fingertips, massages the mixture in your hair. - You should fasten a plastic bag on your hair with the help of elastic headband and allow it to work for 30 minutes. - Rinse the mixture and then shampoo. This oil is derived from the kernels of the Argan tree, which is found in Morocco and is very rare and this is the reason why this oil is highly expensive. However, the essential fatty acid helps in lending strengthen to the protein in your hair; thereby reducing the spilt ends and makes them strong. It is also rick in Vitamin E and helps a lot in repairing the chemical damage that is done to the hair. It helps to moisturize and shine the hair, without making them feel greasy. In order to apply them, start by rubbing this oil into your hands and apply it to scalp as described above. In order to distribute oil more evenly, you must use comb or brush. - It is rich in Vitamin E, which is vital for healthy hair growth. - Since it is a natural emollient, the coconut oil bins help you to restore the shine of the hair by sealing the moisture that is there in each of the stand. - The capric and lauric acids that is found in the oil have got antimicrobial properties. The microbes that are present in the roots an scalp of the hair are a main cause of hair loss and thus the coconut oil helps to stop or slow down the hair loss. Lemon essential oil provides a wide range of benefits to the user. The lemon reveals the images of cleanliness and freshness. Various researches conducted worldwide shows that this essential oil is capable of killing various types of bacteria in a span of few minutes only. The antiseptic properties of this oil last for many days and it is widely used for destroying the air borne germs in the schools, hospitals as well as hotels. It is also highly effective in neutralizing the body odor of the patients that are suffering from deadly disease of cancer. This essential oil has got high vibrations, which can be compared to a high toned whistle. In comparison, the sandalwood hums like a bumble bee. Such essential oil that has got high vibrations helps in lifting the spirit and helps to remove mental fatigue. Lemon brings a sense of warmth in an individual. Even though this oil is beneficial for both the psychological as well as physical heaviness, it helps in stimulating mind, enhancing memory as well as increasing the concentration. This oil is rich in d-limonene, which is a powerful antioxidant. It’s used in treating the cold and mouth infections, for people who are suffering from this problem, gargling with lemon essential oil diluted in water. Taking this oil orally by adding it to the propolis tincture is also very helpful. In case of the treatment of the itchy enzymes and measles, you can add this oil to a sponge bath. The ratio of the mixture shall be kept as 1-2 drop for a quart of water. As these oils helps in strengthening the vascular tissues, it is widely used for treatment of the varicose beings by relieving the pressure on them and improving the circulation of blood in the body. You may apply it in skin lotions as well as compresses. This oils acts as an antiseptic, disinfectant, astringent as well as styptic that helps in stopping the wounds from bleeding. It also becomes a good remedy when it comes as a cleanser for the treatment of the bleeding wounds. The only care that you should take while applying lemon oil is that you must avoid coming under direct sunlight for prolonged hours if you have this oil applied on your skin. Also, you need to keep a check on the quantities in which you are taking this oil. 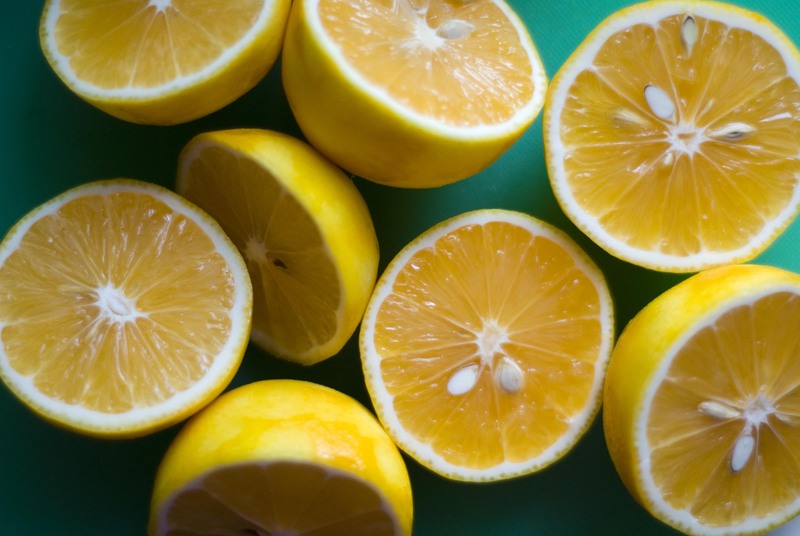 As the lemon essential oil stimulates the production of potassium carbonate in the body, it helps to counteract a high acid content in the body fluids. It’s always recommended that you use branded essential oils. The use of oil of uncertain quality might provide you with potentially dangerous, if not life threatening results. You should also have apt information about the usage and dosage of a particular oil so as to ensure that you get the favorable results only. If you are looking for safe and effective ways to tighten your skin then there are some good options available to you with the most prominent one being natural oils. You will come across a wide range of such innovative and new tightening oils in the market. However, with so many choices available you need to ensure that you get the right treatment which contains of a range of emollients and oil which are natural and at the save time have got the potential to revitalize your sagging skin. In case you want to look for a younger, firmer skin then you must seriously consider looking for the various natural plant based oils which have got the capability to tighten as well as tone the sagging skin. All these natural oils consist of nutrients that provide you with beautiful and healthy skin. These oils have got the ability to penetrate deeply in your body and invigorate the body from within. You will require essential Omega 3 fatty acids as they provide you with a wide range of nutrients including antioxidants. Due to their penetration power, they provide with you natural healing. A large number of cosmetic manufacturers make use of synthetic oils and this is why that sometimes it is so difficult to see the tightening effects that are you are expecting. Even some of the synthetic ingredients have got adverse effect on the skin and they may clog skin pores and make it look irritable and dry. Also, synthetic ingredients are much cheaper than the natural ones and this is why cosmetic manufacturers prefer using them so as to make bigger profits. In order to truly firm as well as tone sagging skin, you should consider the following three top natural oils. Avocado Oil- This oil is rich in various essential nutrients and deeply penetrates the skin. In case you are suffering from sun damage, this natural oil is going to hydrate as well as rejuvenate since it helps in repairing the sun damaged skin. It is also a powerful antioxidant that will help in the nourishment of your skin with various essential nutrients. 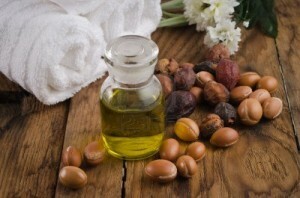 Jojoba Oil- This oil is another powerful healer. This superb anti-aging oil helps in firming as well as toning even the worst cases of sagging skin. It contains natural vitamin E, which is also a great constituent. This oil complements skin oils and thus has ability to blend and work really fast. The best thing perhaps about this oil is it helps in maintaining oil balance. Grape seed Oil- This is great oil that works very effectively in reducing the stretch marks and thus helps to heal as well as repair the unhealthy skin. 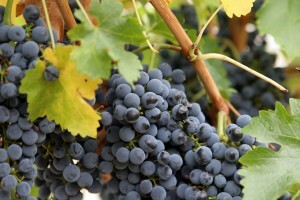 Grape seed oil also forms an invisible layer over skin and thus helps in retention of moisture. Due to its high Vitamin E content, it’s a powerful anti aging product. Depression is a serious thing and it is not something which can be ignored or laughed dat. It arises because of hormonal imbalances, exposure to chemicals, side effects, inappropriate diet etc. Depression can be of various types including seasonal depression, panic disorders, anxiety etc. If you want to get rid of depression fully then you will need to explore the environment, diet as well as your health. 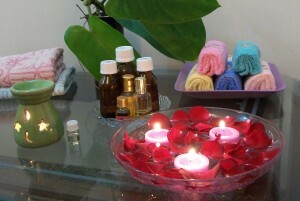 Aromatherapy using the essential oils has got a brilliant effect on your emotional well being. Scents helps us to heal emotionally and this is why majority of us love wearing colognes and perfumes and thus we can say that scent is a crucial part of our lives. Essential oils consist of an aroma which helps to activate the limbic system through smell. These oils have got the ability to affect the hormones of the body. Not only this, they can eliminate the unwanted toxins from your body. These oils help to ease the pain, as they carry oxygen to the cells that are present in the body. The molecules that are contained in essential oils are much smaller than our cells and they are easily able to permeate in our bodies and affect us on a cellular level. They have got the ability to enhance all the main systems in our body including urinary, digestive, reproductive, circulatory as well as respiratory. Some of the most common essential oils that are highly effective in dealing with anxiety as well as depression include cedar wood, basil, geranium, grapefruit, juniper berry as well as lavender. As you can easily make out that there are quite a few choices available to you to choose from. The best way is to smell each one. As soon as you find a smell that is pleasant and you enjoy it, that essential oil becomes apt for you. The powerful smell of the oil will affect your emotions in a positive manner. A lot of people who suffer from depression also use a diffuser as it is a convenient and effective way to enhance your mood. You can set a timer so that the oil is released through a diffuser at certain level. These diffusers are easily available in the market and are also priced reasonably well. Otherwise, you can carry a bottle of essential oils with you and open it up and smell whenever nodded. It’s just that you need to ensure that you are keeping the bottle closed tightly when not in use so s to avoid oil spill. Irrespective of whichever essential oil you are using to fight depression, you need to ensure that it is 100% pure essential oil. If you are not too familiar with the essential oil manufacturing companies, then you can judge the quality of the oil by its price as well as certifications. Ideally, you should test an oil before you actually use it to ensure that you don’t develop any sort of allergies. Liver Care with Essential Oils? Majority of us uses various over-the-counter products in order to overcome ailments and health problems. However, there are many such products that tend to have a negative impact on the liver and thus it becomes important for us to restrict the use of such products that harm the liver. Thus, a great alternative to protect your liver are the essential oils. You often would have come across cases in which the liver of an individual is damaged due to consuming non-prescribed medicines for ailments like migraine, tension etc. Liver, which is the second largest organ in the human body, is also critical component of the body. Whatever you consume is checked by the liver before it makes way to blood supply or heart. The function of the liver is to detoxify. If you think that the drugs that you are buying from the market only help you to overcome the problems, then it’s incorrect. In fact, a lot of drugs carry the warning about the liver damage. This is the reason why doctors encourage the use of top therapeutic grade oils. These oils which are easily available in the market help to support the liver in a big way. Even though there are plenty of benefits that these oils offer, they are relatively inexpensive. 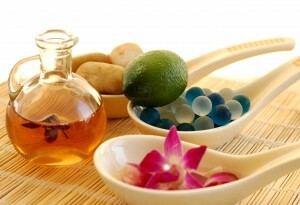 Essential oils are helpful in detoxifying and thus help in relieving some common ailments. There are some essential oils including peppermint that helps in brining relief form headache without any risk of suffering side effect. There are a large number of ailments that can be treated easily with the help of essential oils. The worst part is a large number of people feel that other the counter medications are safe and it is not so. The chemicals that your body is absorbing are far more harmful and sometimes can have serious implications on functioning of your body. Essential oils are something that can change your life for positive forever. If you want to know more information about these great natural products then you must visit websites and forums that are based on this subject. Also, you shall take advice of your physician or aromatherapies in order to know which essential oils suit you the most. Even though there maybe some side effects associated with a particular essential oil, fact is that in majority of the times, these are going to be very mild in nature. The procurement of these oils is very easily and you will find a lot of oil stores, chemist shop and online stores dealing with essential oils. However, over the year a lot of fake or counterfeit products have made entry into the market and they tend to harm the body. A consumer can avoid this situation but just verifying the certification on the oil and also buying them only from a trusted and recognized source. Besides applying them on your pet’s skin, you can effectively use this oil for spraying them in your house, especially in the areas where the fleas infest like room corners, crevices, window sills, beddings etc. Tea tree oil is also an effective flea and pest repellant as fleas do not like odor of this oil. You can prepare it very easily at home. All you need to do is to pour a teaspoonful of the tea tree oil in cup of warm oil. Once it’s ready, then you can use a spray bottle and fill this liquid. Shake the bottle so that the liquid is mixed thoroughly and then you can apply it in your house. You can use this mixture once or twice a day depending upon the fleas and ticks present in your house. You can also use it for getting rid of the skin irritation. Furthermore, eucalyptus essential oil is also very helpful in treating ticks and fleas and can be used as a natural repellant. Thus, as natural oils do not contain any hazardous chemical substance, it can be used to treat pets. All these products are environment friendly and have got almost no or mild side effects. In case any symptom of irritation appears on application of this oil, you should consult a physician. Always look for certified oil and read the directions of use very carefully before using them. Essential oils are not only delicate but also volatile in nature as they are extracted from the seed, leaf, flower, root or bark of the plant. The oils are considered as the life force in every plant. Essential oils are said to posses’ powerful properties that help them to pass through all the cell membranes and can permeate the body in a very short period of time. Each of the oil has got a distinctive aroma, which is popularly used in aromatherapy for various therapeutic as well as curative effects. You have the option of either using the quality essential oils or organic essential oils alone or can just mix them into essential oil blends. 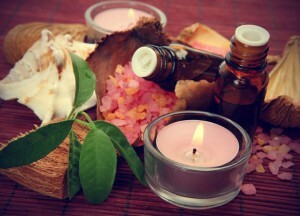 In order to achieve high degree of absorption, it is very important that you obtain the best quality essential oils. A pure and high degree of essential oils exudes great degree of taste, aroma, colour and therapeutic effect. When they are extracted from the plant, the oils’ volatile property is so strong that you will have to dilute them. As the skin absorbs the oils readily, many essential oils can be applied directly on the skin with many beneficial effects, on the other hand some of the oils may cause caustic effects and thus you need to be careful. Majority of the organic essential oils are used for circulating through the air with the help of some special diffusers. 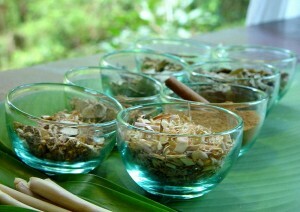 A large number of them are also used in other carrier foils for the purpose of massages or other cosmetic preparations. Their best use perhaps is in the field of aromatherapy. The power of pure organic natural oil blends may be combined so as to create a synergy of the properties and to enhance the power of the oil. For example, the blends that are made by mixing eucalyptus essential oils, cedar wood and lavender flower oils helps for the revival of respiratory system and lungs. 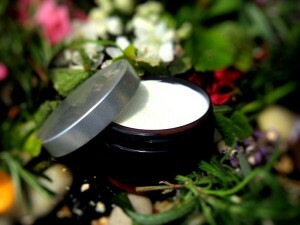 The blend will also become more powerfully soothe and clear the membrane and tissues. Majority of the blends are ideal for preparing your own essential oil blends and to use them over time. Besides, you can also purchase the essential oil blends from the market. However, you need to ensure that you are buying them only from reputed stores or quality vendors. Go for the oils that 100% pure and natural. The best essential oils are those that are processed from the finest plants and are free from any kind of adulteration or dilution. If you are procuring a commercial prepared essential oil, then you should always look for certification of the product before using them. Also, sometimes you will find some products like “fragrance oil”, “perfume oil” and “natural identical oil”. These words might sound attractive to you, but they indicate that the essential oil is not pure single oil and is just a mixture which is commercial prepared. In majority of the cases, doctors and physicians will prescribe many ointments, creams or steroids for treating eczema. Even though such medication is helpful, it is preferred that you avoid taking it in the long term as there might be side effects associated with the prolonged use of such treatments. This is the reason why a lot of sufferers prefer using natural cures for eczema. Natural cures are safe and effective as compared to the synthetic methods of treatment. Apart from the right supplements, topical therapies and diet, one can also counteract eczema by wearing loose clothing that is made up of various natural fabrics including cotton. Additionally, controlling the humidifiers including cotton can be also very helpful. Nothing can be more natural in eczema then staying away from any kind of stressful situations. It’s important to maintain a healthy lifestyle. As stress is known as amongst the major triggers of this problem, you will not be able to get rid of the eczema naturally. Treating eczema with natural oil is turning out to be amongst the most popular treatment options these days. Ideally, you should look for an essential oil that consist vitamin E in large quantities. This vitamin is apt for healing of skin and also helps to fight oxidation of essential fatty acids which are required by the body. Also, try opting for natural oils that consist of essential fatty acids including Omega 3, 6 and 9. By taking these oils, you will help to greatly affect the healing ability and will develop your immune system and against eczema. Usually the attack of eczema is acute or chronic in nature; however, the distinction lies in the greater or less inflammation intensity at the time of descriptions. A severe attack of this problem often comes along with slight constitutional disturbances. Coconut oil is vastly used for naturally treating eczema. The unprocessed organic virgin coconut oils helps in the soothing of this problem and apart from this it also helps to heal dermatitis, eczema or any other skin condition. Natural oils are extremely helpful in treating the skin conditions as the help in apt moisturizing the skin and also address the problems concerning immunity as well as allergies problem that triggers the symptoms of eczema. Natural oils also find their use in aromatherapy through which one can easily treat eczema. These oils have been used since centuries for the treatment of various severe diseases. You can use this oil in a neat form or diluted form. You can prepare the dilution by mixing it in a base of extra virgin olive oil or some other pure organic oil. Just to ensure the safety of the usage of the oil, you should check that the source of the oil is credible. 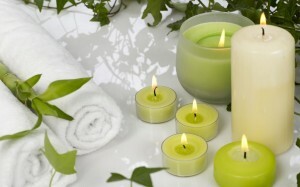 Some of the other popular natural oils used are chamomile, patchouli, rosemary etc. It’s always better to consult your physician or doctor before using them in any form.